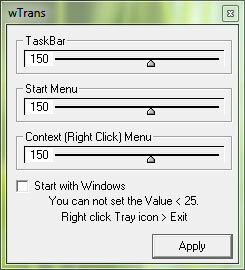 wTrans is a free portable tool created by Solo-Dev at deviantART that makes your taskbar, start menu & context menu transparent. You can even choose the transparency level. Just run the tool and it will stay in the system tray. Click on its icon to open the Settings window. 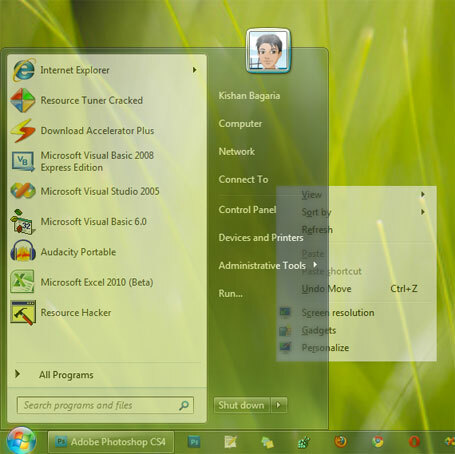 You will be able to choose the transparency level for the taskbar, start menu & context menu.